Home > ya highwayers > Publishing Interviews: Agent Kristin Miller!! 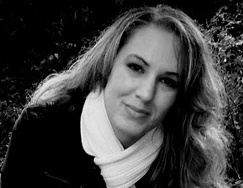 Publishing Interviews: Agent Kristin Miller!! is now an agent with the D4EO Agency! We have her very first interview, so that our awesome followers have a chance to see what she's looking for. Read on to find out more about this soon-to-be publishing superstar! How do you balance agenting with your own writing? It is a balancing act, but even more, it’s a matter of time management. Which is such a boring answer, I know. Agenting and writing are both important to me and I refuse to let either suffer, so I’ll be working a strict schedule that allows time for both pursuits. Interning with Mandy, who also balances the two activities, has helped me understand some of the particular concerns that come with writing and agenting. You're very involved with the online YA community. How do you think such involvement benefits agents who represent YA? Are there any new ways you plan to be involved? I love being a part of the online YA community! One major benefit for me—and everyone involved in the community—is the opportunity to get to know emerging and published authors and for them to get to know me. Already, I’ve been able to scout (either actively or undercover, haha) unagented writers because I’ve met them online, have read their blog and/or have had conversations with them on twitter. I will put finding and developing new clients’ novels and careers first on my list of agenting priorities, but I will also expand my online involvement by participating in the occasional agent chat on twitter and being available to critique and/or judge queries and writing for blogger contests. What are your favorite YA and MG books from recent years? My favorite YA is Meg Rosoff’s HOW I LIVE NOW. It’s a stunning work that I can read over and over again and be moved emotionally every time. Fighting for the favorite spot is Melina Marchetta’s JELLICOE ROAD (I also adore THE PIPER’S SON), Sherman Alexie’s THE ABSOLUTELY TRUE DIARY OF A PART-TIME INDIAN, THE HUNGER GAMES, and Kiersten White’s adorable PARANORMALCY. My wish list is posted here, on my blog. I have a wide range of interests, really, and ultimately am looking for those novels I simply can’t put down (aren’t all agents?). For MG, I’m keen to find a story with pop-off-the-page characters and, conversely, a classic, quieter story about everyday life with siblings a la The PENDERWICKS. In YA, my tastes are particularly eclectic. I’d like to see a great main character struggling with feminist ideals, multicultural stories that aren’t about multiculturalism, psychological horror, really fresh and pace-y paranormal and UF, feel-good and romantic beach reads and brilliant experimental writing. Congratulations, Kristin! I was so excited to hear this news! Mandy tweeted this and its such fantastic news. Congratulations! I just saw the announcement in my Publisher's Lunch email and did a doubletake! Congratulations, Kristin! Here's wishing you much success and many outstanding gems in the slush! So so so excited for you Kris!! You are gonna rock! Congratulations, Kristin! Great first interview! I especially love the last question and answer...very interesting to hear from someone who's on "both sides of the fence!" I was so excited to see Kristin's name in Publisher's Lunch this morning. Congratulations! So I'm reading my Publisher's Lunch, and lo and behold your name jumps out! Congrats! Was that too Miss America acceptance speech-y? I kind of feel like I should do a beauty queen wave now or something. Grats, Kristin! I read the news on Publishers Marketplace and knew I'd find a post on YA Highway about it. Good luck with all your future endeavors as a literary agent :) and a writer of course.